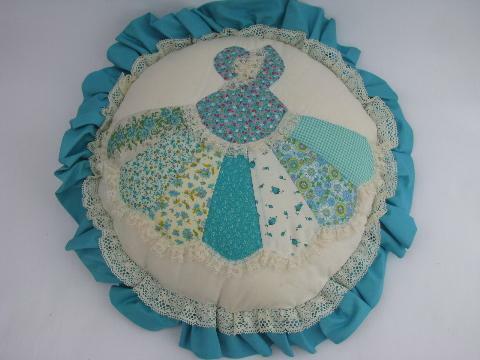 Pair of big ruffled edge cotton applique pillows with southern belles, pretty crinoline ladies! 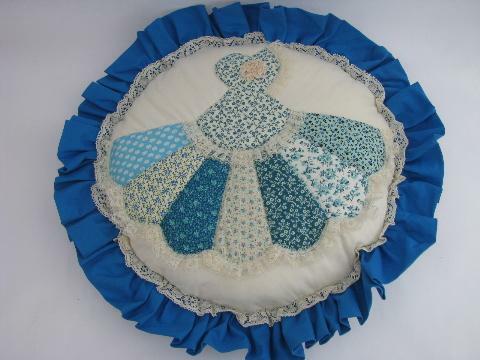 Both pillows measure 18" in diameter across the ruffles. 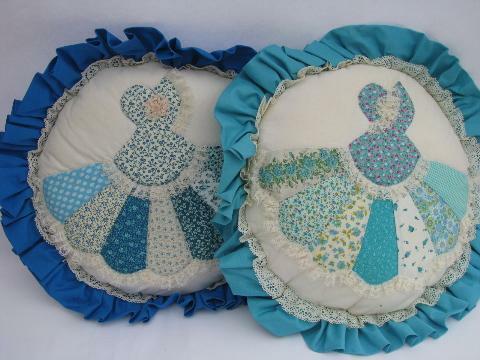 These are 50s - 60s vintage, beautifully made with period cotton prints, both in excellent condition, clean, never used. 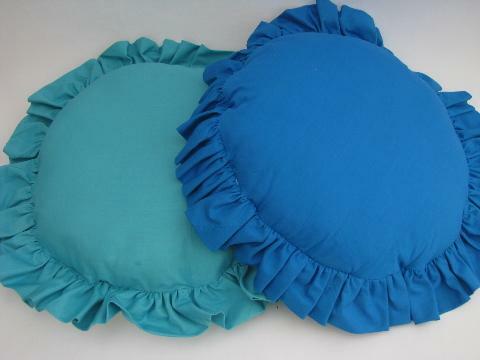 They'd be lovely on a day bed or porch swing.